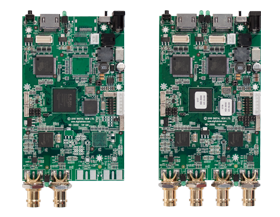 The SVX-2560 is an advanced LCD controller for video signals up to 2560x1600 and LCD panel resolutions up to 2560x1600 as well as 1920x1920 with both LVDS and eDP panel connection. 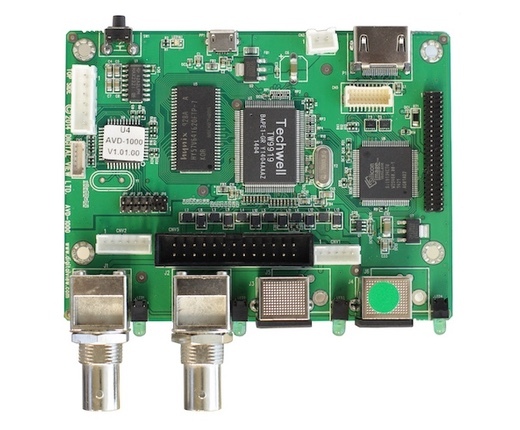 HDMI, Displayport, Dual-link DVI and VGA inputs with board mounted industry standard input connectors for easy enclosure design. The very extensive feature set and the option of a harsh-environment version, the HX-2560, ensures suitability for many display applications. The SVX-2560 is supported by a wide selection of panel connection cables and other accessories together with system development documentation including 3D drawings. Colors: Up to 10-bit per color, ie 1.06 Billion colors. Functions Basic: Auto configuration, Brightness, Contrast, Clock, Phase, Color temperature, Image position, Saturation, Hue, Gamma. Additional: System Information, OSD position, Scaling to fill screen and fill to aspect ratio, OSD timeout, Factory reset, OSD menu transparency, Picture in Picture variable position with 18 size selections and Picture by Picture, Programmable hot keys, Display real time clock. Support for options such as ambient light sensor. 2pcs DDR3-1600 1Gbit volatile memory for system processing and frame buffer. 42pcs EEPROM 2Kbit non-volatile(NVRAM) memory for DDC information. 1pc EEPROM 512Kbit non-volatile(NVRAM) for system and user settings. 1pc flash 2Mbit non-volatile(NVRAM) memory for IP-60 web page. 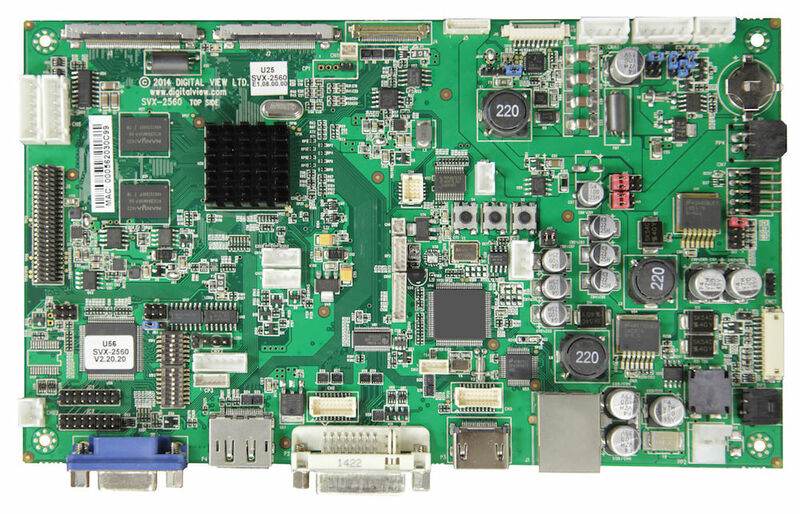 Network processor includes 524KByte non-volatile(NVRAM) for IP-60 system program.